Leasing Available from $53.08 per month! 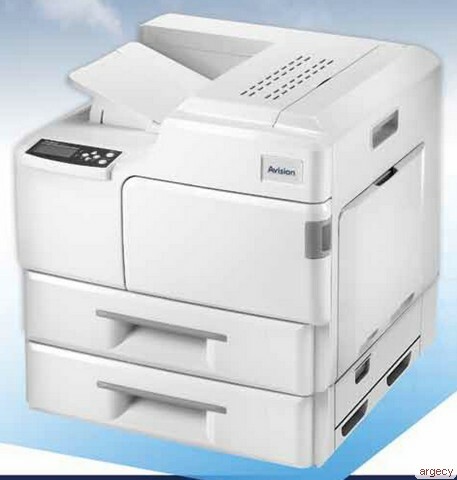 Avision AP510 is the first LED high speed printer which is designed and produced by Taiwan. The printer provides various features to ensure efficient and effective printout. Printing up to A3 size, Avision AP510 can achieve a variety of print tasks that you want, especially for improving the efficiency of company user print. Avision AP510 has a clear and large LCD display and easy-to-use control panel which can make the company users use the printer easily and increase the efficiency. The printer speed of Avision AP510 is up to 51ppm (A4 horizontal) and the time of printing first page is less than 3.6 sec. What's more, the warm-up time is less than 50 sec. Avision AP510 can save the treasure time of company. Instead of using laser light source, LED light source is more environmental friendly and use less power. Avision AP510 provides multiple functions such as Printing on Both Sides, Network Printing, Collating (Sorting the printed pages), Printing Multiple Pages on a Single Sheet, Adding Watermark in the background and so on. Support multiple tray allow user to print document on diffirent size of the paper without changing paper in the track. FPOT (first print out time) less 8 sec. Warm up time less then 50 sec.